E-Sys 3.28.1 is the newest version, but not tested by professionals yet. You may try on your own risk when using ver. 3.28.1. 1 You must uninstall the existing E-SYS version before installing new E-SYS 3.28.1. After installing tested it with Launcher 2.7.0 and it works. Select language, click “Next” then “I accept the agreement” then “Next”. Click “Browse” to choose where to install E-Sys. The default location is C:EC-AppsESGE-Sys. Set the data path for E-Sys, the default is C:Data. Click next until the installation begins. 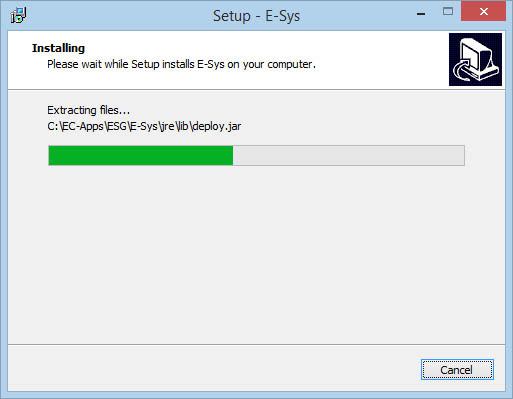 Click “Finish” to complete the basic installation procedure for E-sys. Then you need to make it work. You will see two folders, one is a “Patch” the other is “Token Generator”. Use the Token Software, enter a username as you like and password. This is an important and final step of the installation process. The E-Sys installation doesn’t contain any data so you must copy the data into the right folder. It’s recommended to use the Psdzdata “Lite” version because it has all the Firmware data removed so it saves a lot of space! Extract Psdzdata using Winrar. Right click it and click “extract here”. After that go to C:Data and erase the existing “Psdzdata” folder and copy this extracted new one in the same location. What can you do with bmw esys enet for bmw coding? Programming = Flashing a module, which means changing the actual software. Best done with a BMW ICOM emulator. Coding = Reading and writing the memory which contains the configuration. Can be done with an ENET cable. I also solved the problem with Kess v2 clone, with error “Protocol not compatible with version FW”. Now the error no longer appears. Cheers! Here, I would like to show you step by step how to use your Kess v2 without the error “Protocol not compatible with version FW”. To do this, you first have to uninstall the already installed software and the drivers. Install the K-Suite 2.06 Full Version including drivers (Microsoft Visual C ++ 2005 SP1 and USBDEVICEDRV 1.00.011). The Kess device is not yet connected to your computer. After successful installation, K-Suite will open automatically (no error message may occur during installation, otherwise you will have to repeat the installation). Select the desired language and exit the program. Right-click the K-Suite icon to open the file path. (Win-XP: right-click on the K-Suite icon, then open the properties, in the lower left you can open the file path) Marks the entire content in the folder and deletes it. Opens the “Token Reset Folder” and copies the entire contents (it is the data from K-Suite 2.08). Now you change back to the already installed file path (here you just deleted all files) and insert the copied records. In addition, you copy the help folder (can be found on the supplied CD) and also paste it into the already installed file path. Now you can close all windows and start K-Suite. The Kess device will now be updated. This may take a little time. As soon as the main menu of K-Suite opens, version 2.08 should be visible. The message “Protocol not compatible with version FW” should no longer appear. If everything was successful, you can close K-Suite again and install the updates (2.10, 2.12, … etc) one at a time. The Kess device can remain connected to the computer. The important thing is that you only install the updates. Not the drivers (Microsoft Visual C ++ 2005 SP1 and USBDEVICEDRV 1.00.011). PS: If the error message “External exception EEFFACE” appears, you must close the program. Now disconnects the Kess device, reinstalls the version at which this error occurred. This time with the USBDEVICEDRV 1.00.011, but without Microsoft Visual C ++ 2005 SP1. After installation reconnect the Kess device and start K-Suite. I currently have the version 2.32 Ksuite, and it works perfectly.